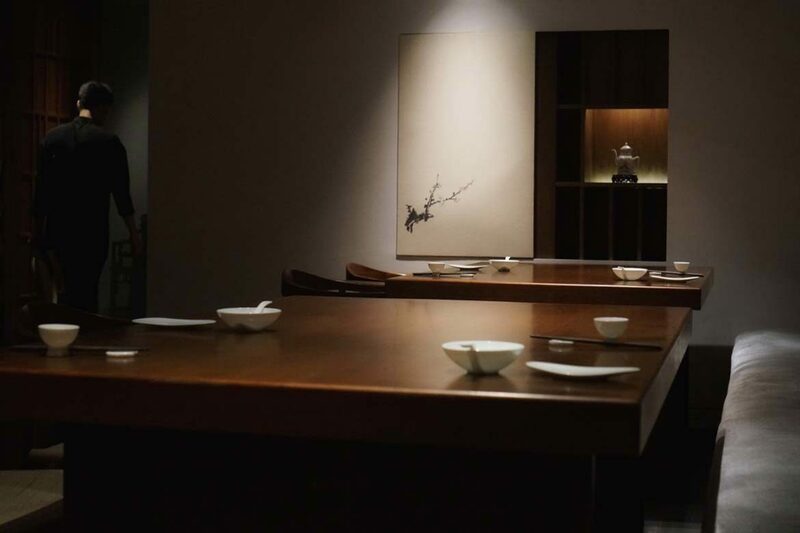 Part of the acclaimed Fu group and a rising star on on Asia’s 50 Best list, Fu He Hui (‘Fortune and Intelligence’) was to me an enigma shrouded in mystery. Coming in at no. 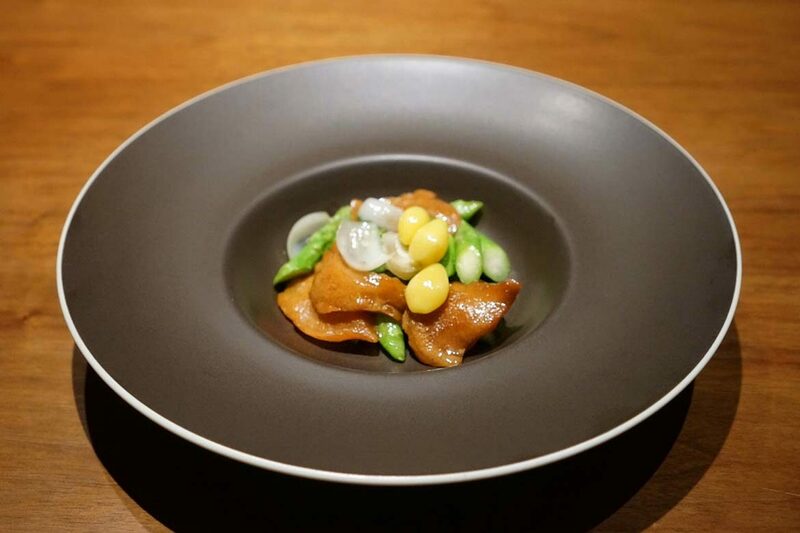 18 on the list in 2016, the vegetarian Shanghainese restaurant of the Fu group keeps the secrets of it’s success close to it’s chest. No website, no online menu…let’s just say it certainly helps if you know a local speaker to score you that important booking (it might pay to ask your concierge to call on your behalf). I’ll admit, the lack of easily available information made me a little scared of Fu He Hui. 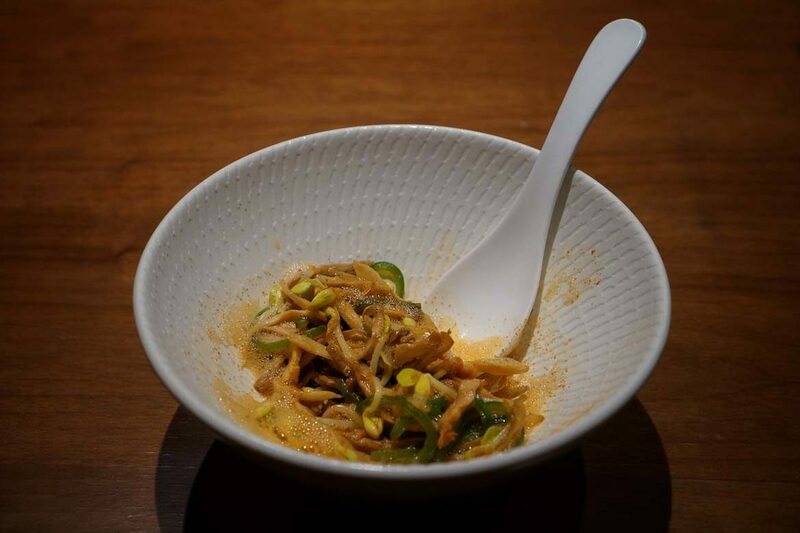 I like to know a little bit about what I’m in for before I book (and if you’re reading this, you probably do too), and when I couldn’t find any, I somewhat gave up on my plans of dining at Fu He Hui during my Shanghai visit. Luckily, local foodie superstar (and World’s 50 Best Regional Chairperson) Crystyl Mo came to the rescue and saved me from what would have been a huge mistake – this fine establishment ended up being the meal of my trip. 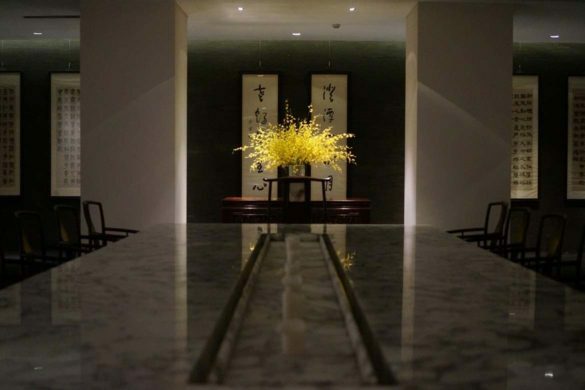 Set in a multi storied, elegant and expansive villa filled with antique treasures and art, the essence of Fu He Hui hits you the moment you enter. It’s just so serene. Quiet, moody, slow paced. It feels a world away from the chaotic Shanghai streets that lie just outside. You can’t help but feel the anticipation building and the tastebuds tingling. There are three menus to choose from that change regularly, so while you might not be able to experience the exact dishes I did, I hope I can convey to you the essence of Fu He Hui. There’s a range of price points across these menus (RMB 380, 680 and two options at 880), so there is something for every taste and budget. Unless you’re looking for a huge meat-filled menu that is – you won’t find that, though I will say they do a great job of tricking you into believing you may be eating morsels of amazingly delicious meat at points throughout the meal. 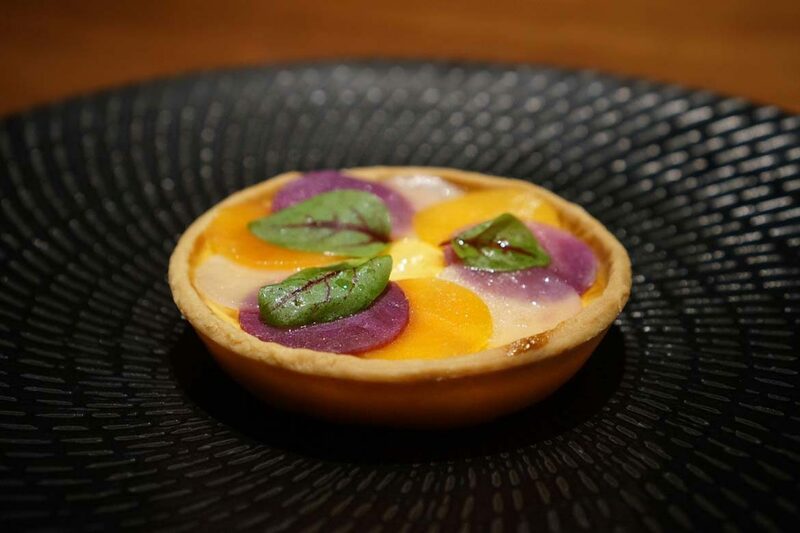 Being a huge vegetable fan, I’m excited to see what surprises the menu holds – I always feel that the vegetarian dishes on a tasting menu are the most creative. I certainly wasn’t disappointed. 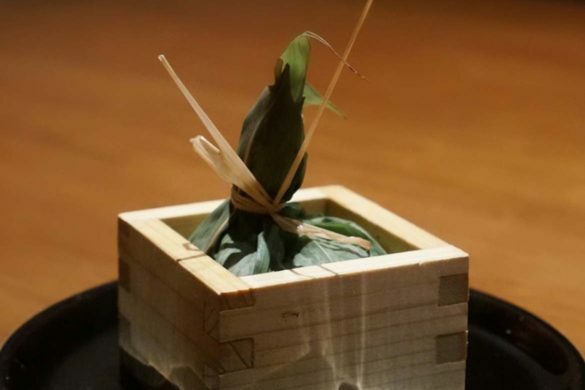 The parade of dishes were delicate, subtle and clever – as much in taste as in presentation. It’s a symphony for the senses that feels perfectly at home in it’s grand yet minimalist setting. 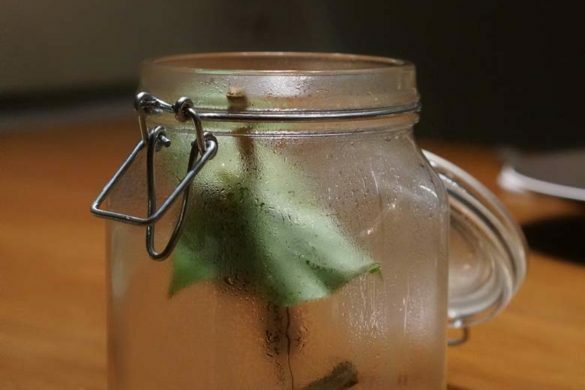 From a cellophane wrapped orange to a twig in a jar, there’s no shortage of unique and creative courses at Fu He Hui. 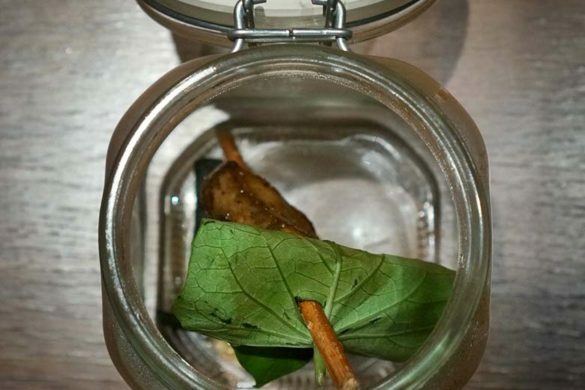 Mushroom lovers will be well pleased as a wide range of fungi is used to great effect throughout all of the menus, and you really won’t miss the meat – there are plenty of courses that mimic those familiar flavours. We’re not talking Quorn style vegetarian friendly substitutes either, these are delicious dishes that are both trick and treat. Fried tofu balls that taste like chicken, tiny, red, sesame-dotted morsels that you would swear were pork ribs, a tofu take on Peking Duck that might just be an improvement on the original – I think you get the picture. The flavours aren’t the big, bold, spicy type – rather it’s a focus on intriguing nuances and textures that Fu He Hui does so well. 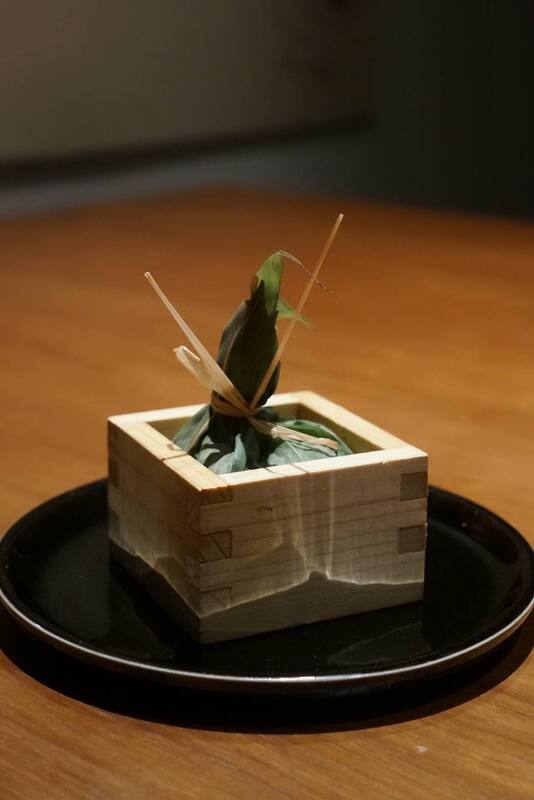 I experienced the RMB 880 menu, which kicks off (post snacks, naturally) with a ‘Flower pot‘. Greens, carrots, crispy quinoa and green soy bean mousse should have you feeling rather healthy as you kick off the meal, but was not one of my favourite dishes – not a negative, but the overall standard was just that high. The next dish, Winter bamboo shoot, morel mushroom, seaweed and miso in broth is incredibly delicate, perhaps a little too much so and I probably would have liked a bit more oomph in the broth here. For me these courses got things off to a slow start, but from here it was a procession of hits. 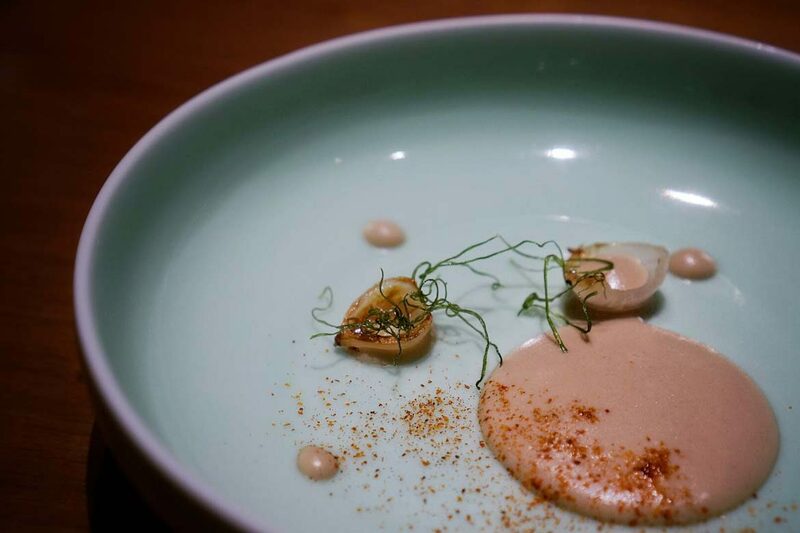 Tofu skin, avocado puree, eggplant is a two part dish that starts kicking things up a notch, and Mushroom, soybean sprouts, red pepper foam is a highlight of the night – the foam disappears before your eyes as you mix the elements together, and the result is absolutely delicious. 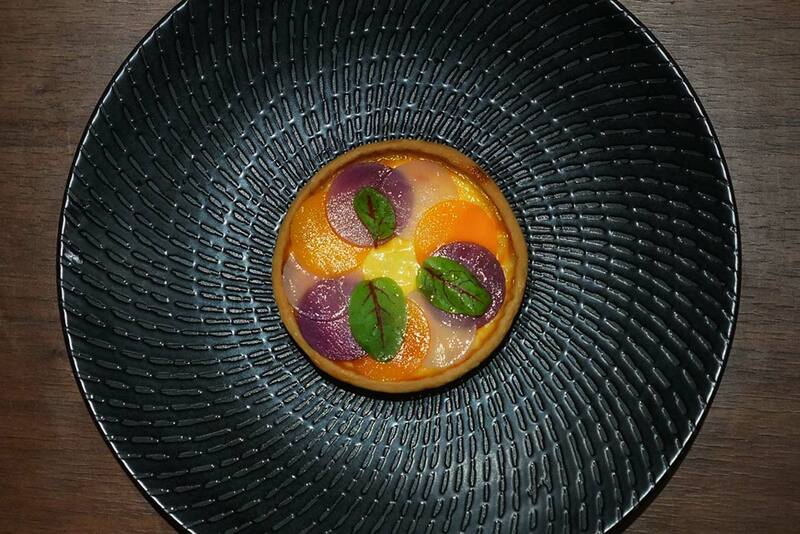 Onion tartlet, egg, purple sweet potato and pumpkin may win the prize for prettiest dish of the night, comforting and familiar (and yes, tasty too). 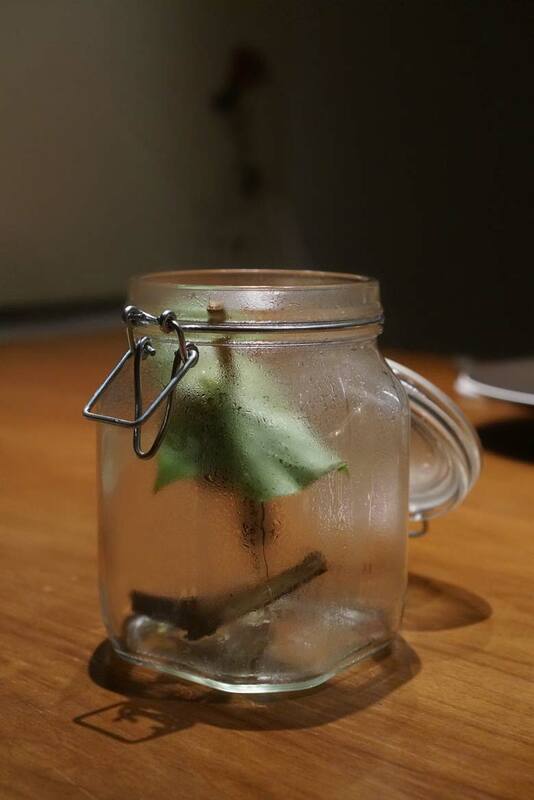 Smoked porcini, sea salt, mushroom gel, shallot definitely wows, with a mushroom skewer released from it’s smoke filled jar at the table. Remember what I said about mushrooms? This is not a place for those who aren’t fond of fungi. The savoury section is sublime for sure, but sweet is executed with just as much success. 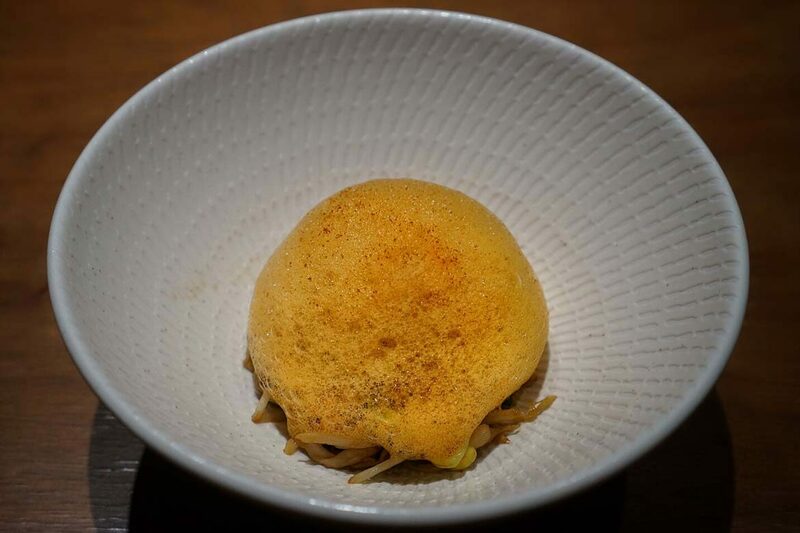 Bridging the gap between the two is Chestnut rice, turnip, sticky rice, black truffle. 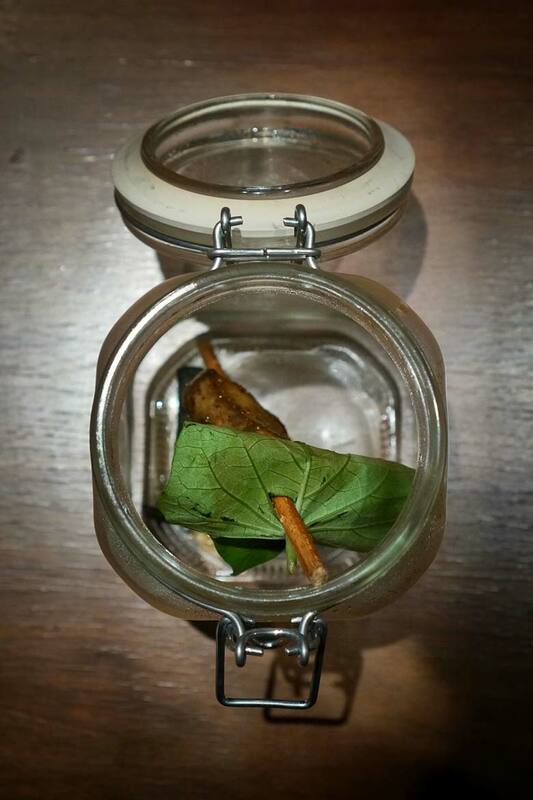 Served encased in leaves, this is a bundle of sticky, indulgent goodness. Chocolate mousse, white sesame pudding finishes off the sweet section in indulgent style, masterfully executing an Asian influenced dessert that should also please those western palates that may normally shy away from such flavours. Despite so many delicious courses, the highlight of my night is still to come though. 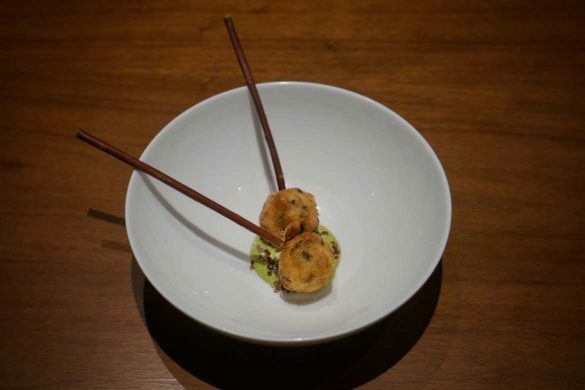 It’s a bowl of walnuts, using the familiar device of ‘one of these things is not like the other’ a la the famous Mugaritz stone potatoes. Where this rendition differs however, is though yes, the ‘trick walnut’ is amazingly delicious, the pile of walnuts it’s served on may have been even more so. In all honesty I’m not sure whether the walnuts were supposed to be just props in the bowl (surely most people would leave them uneaten), but at the behest of my expert dining companion we crack on into the walnuts. After a bit of effort we get through the shells, unleashing perhaps the most delicious walnuts I’ve ever tasted in my life. Roasted to perfection and tasting like toffee and fudge with none of the guilt, we devoured every last one. 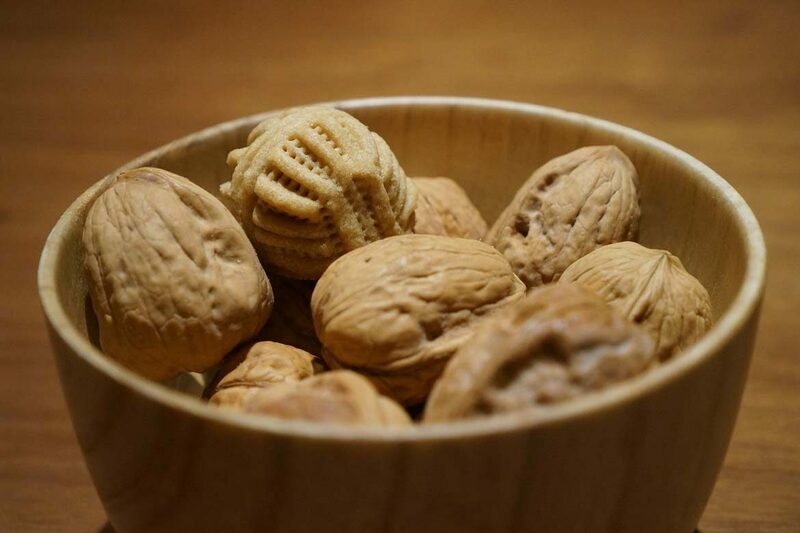 I’m still pestering Crystyl to get the secret to these walnuts from Chef Tony. Normal walnuts just don’t satisfy anymore after tasting these. Whether you’re a vegetarian or not, Fu He Hui should be on your must-dine list when visiting Shanghai. Don’t let the lack of website scare you off – just try and book a table any way you can (ask your hotel concierge to make the call for you). 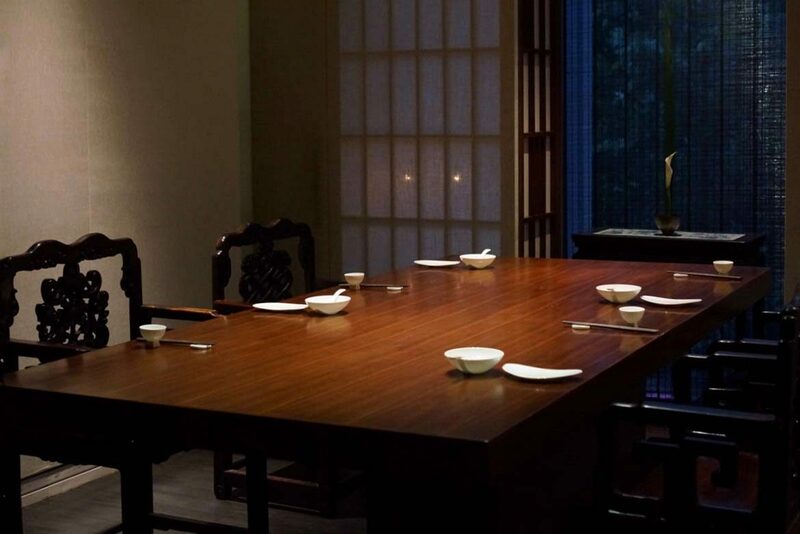 Whether you go for the RMB 380, 680 or 880 menu, you’re sure to experience some amazing dishes (and ambience). I’d recommend each diner ordering different menus and sharing dishes so you can try a few more creations. 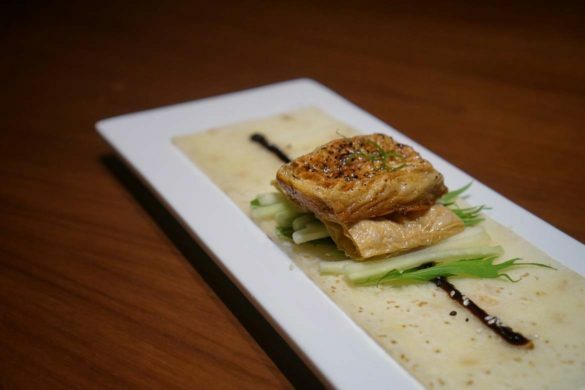 The RMB 380 menu is an absolute steal (that translates to about AED 200, $80 NZD, $55 USD or 50 euro). It’s a welcome break from the hectic Shanghai scene and sure to be a dining experience that will linger long in the memory.